Google is tweaking the structured data stuff like mad, just see how many articles I've written about it in the past week or so. 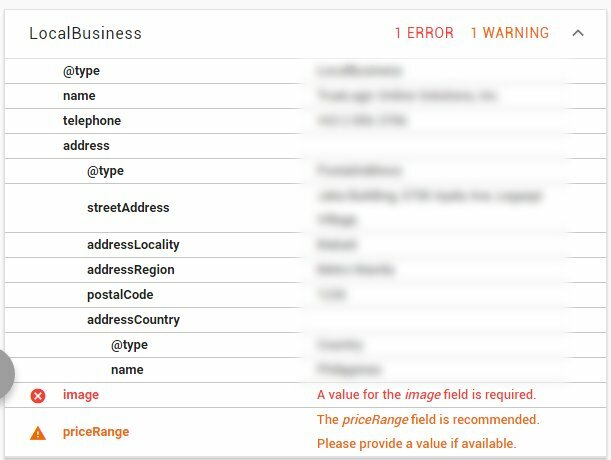 The next thing they changes was to require the Image and priceRange data fields in the LocalBusiness schema requirements. If you run the Google structured data testing tool against LocalBusiness schema, you will see they throw an error if the Image and priceRange data fields are missing or invalid. Lenny Pham wrote on Google+ that he noticed this on Friday morning. Lots of changes happening with structured data and rich cards - so get that markup going.